Many of the retirement decisions you make are permanent. Take time and seek advice from those who have traveled that road before you. Major retirement decisions include when to retire, retirement jobs, and investing your retirement funds. In examining major retirement preferences consider other life changing decisions have you made. How did you decide? What did you learn? When you come to a fork in the road, how do you decide which way to go? That quotation, from one of my favourite poems - The Road Not Taken, by Robert Frost - is very relevant to the decisions you make when you are nearing the retirement transition. When I was 34 I made the biggest career decision of my life, though I didn’t realise its importance at the time. I was working for a US Multi-National company in Cork, Ireland. I was the Managing Director designate when, unfortunately, the US parent decided to close the plant due to the recession in its industry sector. I was offered the option to relocate to the corporate head office in Connecticut, or to a plant in South America. These were attractive options. I liked the Multi-National environment and was open to the possibility of working abroad, having previously worked in Africa. We didn’t have children at the time, so emigrating was a real option. Meanwhile, I was on a final interview for a small Irish company, with a great Brand and excellent growth prospects. The plant shutdown was a very stressful outcome for me, my colleagues and all the employees who had worked so diligently and skilfully on the project. The International President (GF), of the parent company was sent to Ireland to initiate the shutdown. He was regretful and nervous about this task. Government agencies, banks and trade unions had to be consulted. I had an excellent working relationship with him and he welcomed my local knowledge. We agreed that I would be the project leader on the shutdown, not a pleasant task, after which I would be offered compensation and a new position. On the Sunday before his return to the US, I brought him to my favourite spot in Ireland, the lake at Gougane Barra. 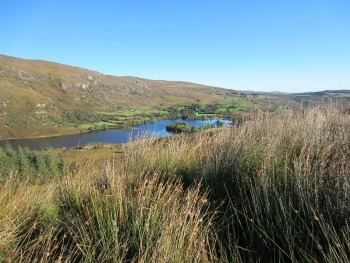 Nestled in the Derrynesaggart Mountains is a beautiful lake, and on it, approached by a causeway, is a small church where St Finbarr founded a monastery. I had arrived at the Fork in the road, which way to go? My preference for decision making of this nature is to use logical analysis in weighing the pros and cons. Use the head, analyse and try to be objective. GF’s question got to the Heart of the matter. This was a decision that required Feeling as well as Thinking. I was very ambitious for my career, but which decision would serve my values best? In asking myself the question...what matters most, my answer included ... family and friends, health, work/life balance, and personal development. I decided to stay in Ireland and spent the following 26 years in that small Irish company with the great Brand. It became a big company and fulfilled as many of my career ambitions as any other job I could imagine. The sentiments expressed in this story may be used by you as a template for making important retirement choices. I promise to use it only to send you Retirement Stories.